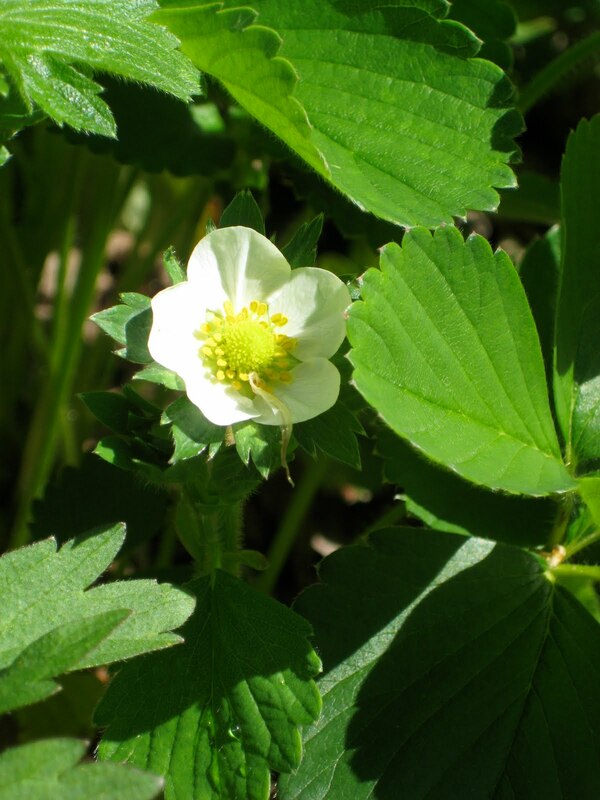 Yesterday I decided to take another peek at my strawberry patch- I was hoping the wild rain storms wouldn't have washed away all of the beautiful strawberry blossoms- I LOVE those sweet looking flowers! Happily I found plenty of blossoms... this year I hope to have lots and lots of yummy strawberries! 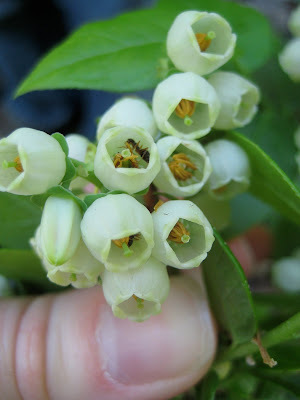 Last year I planted three very small blueberry bushes and I was surprised by how beautiful blueberry blooms are! I don't think I've ever seen a flowering blueberry bush before! And then I stumbled upon two heads of leaf lettuce. 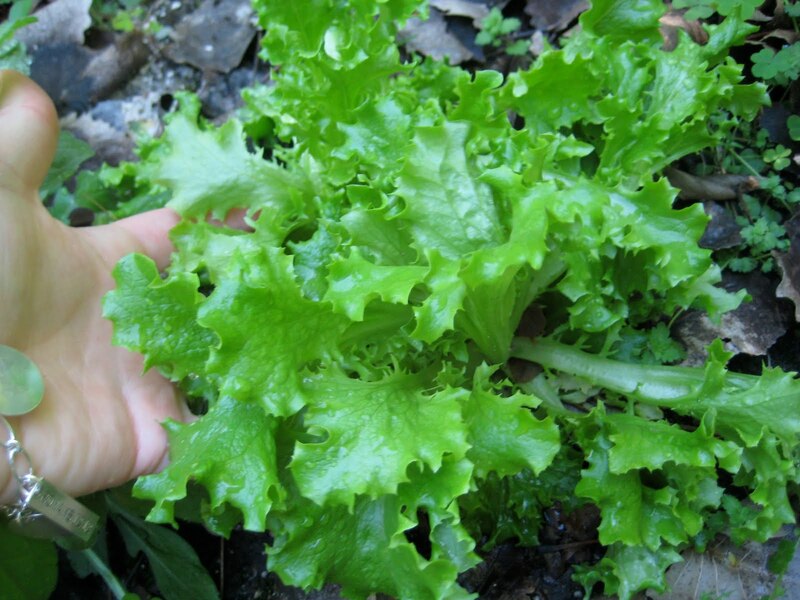 Last growing season ended with a much earlier than usual first frost... just after I sprinkled a few remaining lettuce seeds on the ground. I was tickled to find that the lettuce had secretly begun growing- and now I can enjoy the first home grown salad of the season tonight! YUM! Are YOU planning to garden this year? PS: I'll post a few pictures of my seedlings soon! My sister and I followed your seed-starting in strawberry containers tutorial a couple weeks ago. I have zuchinni, spinach, cherry & plum tomatoes, basil & parsley sprouting on my front windowsill. Thanks so much for your great tutorials! I also have lettuce, snap peas, broccoli, and celery already planted in the garden. I'm so glad that my seed starter tutorial was helpful! I am LOVING my seedlings!